Haruka Kikuchi has produced a series of recordings under the heading ‘JAPAN: NEW ORLEANS COLLECTION’. 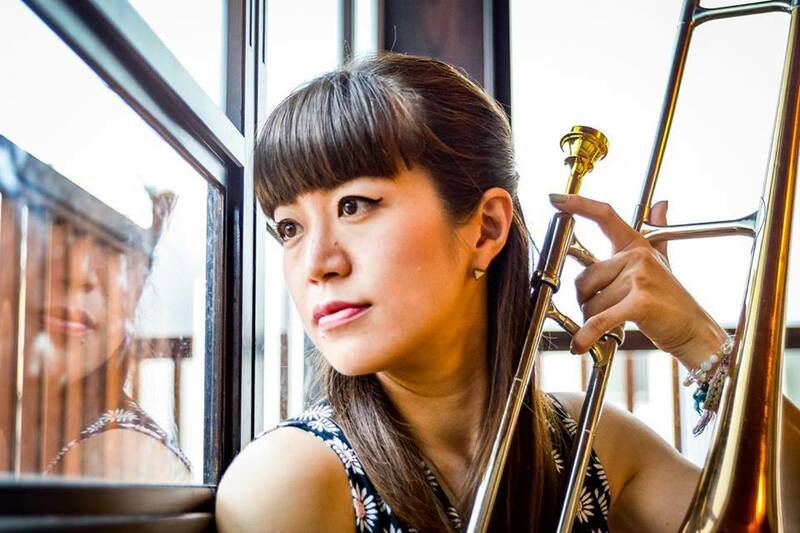 When Japanese jazz musicians visit her in New Orleans she gets them into the recording studio to record a few tunes joined by local musicians. This important project is a bridge between Japan and New Orleans for a new generation of musicians. The Gentilly Stompers- Thanks a Million! To track down videos and band information about Haruka Kikuchi before New Orleans search this: ハチャトゥリアン楽団, you won’t be disappointed. She joins her husband, who plays piano for Kermit Ruffins, on the aboive track from his album. You can find the whole album HERE. We’re sure there are other albums out there with a track or more of Haruka Kikuchi. Please let us know about them so they can be added to this list.